Group Captain P C “Pick” Pickard (centre), Commander of No. 140 Wing, No. 2 Group, flanked by Wing Commander I G E “Daddy” Dale, Commanding Officer of No. 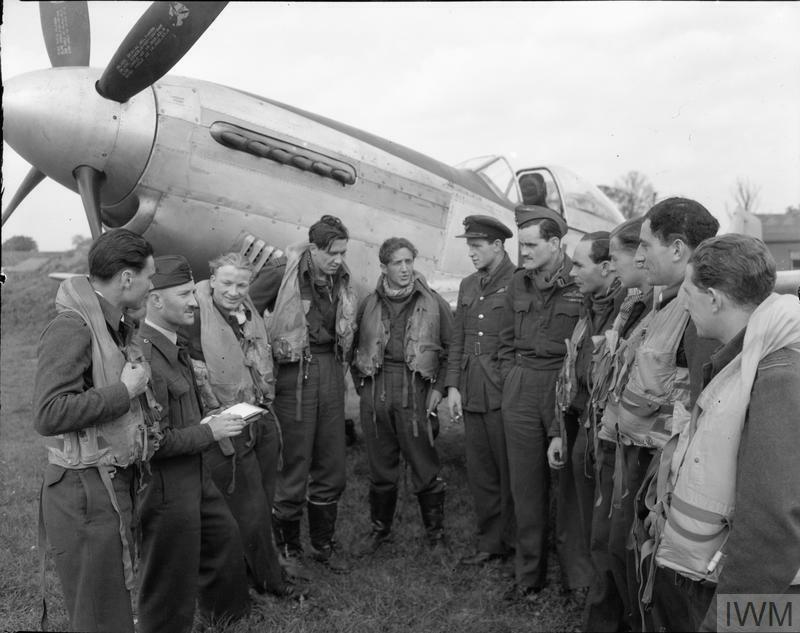 21 Squadron RAF (to Pickard’s right), and Wing Commander A G “Willie” Wilson, Commanding Officer of No. 487 Squadron RNZAF, visit No. 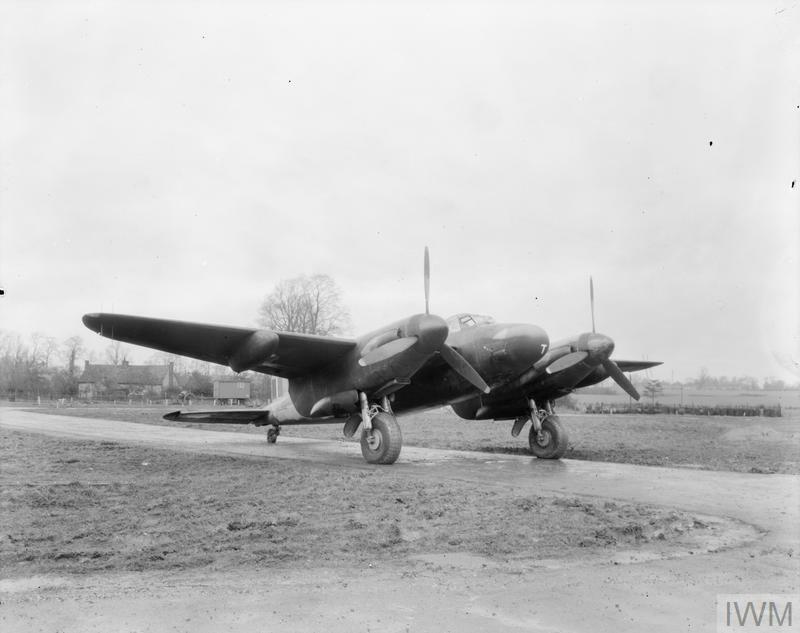 464 Squadron RAAF at Hunsdon, Hertfordshire, prior to a daylight raid against flying-bomb sites in the Pas-de-Calais. No. 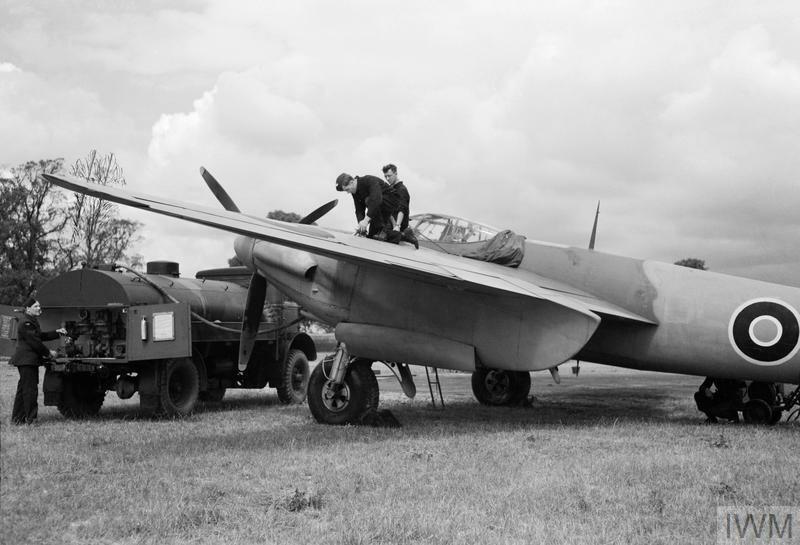 464’s De Havilland Mosquito FB Mark VIs have been loaded with 250-lb MC bombs for the operation: HX913 ‘SB-N’ can be seen in the background. Mosquito NF Mark XIII, HK382 RO-T, of No. 29 Squadron RAF, in a dispersal at Hunsdon, Hertfordshire. 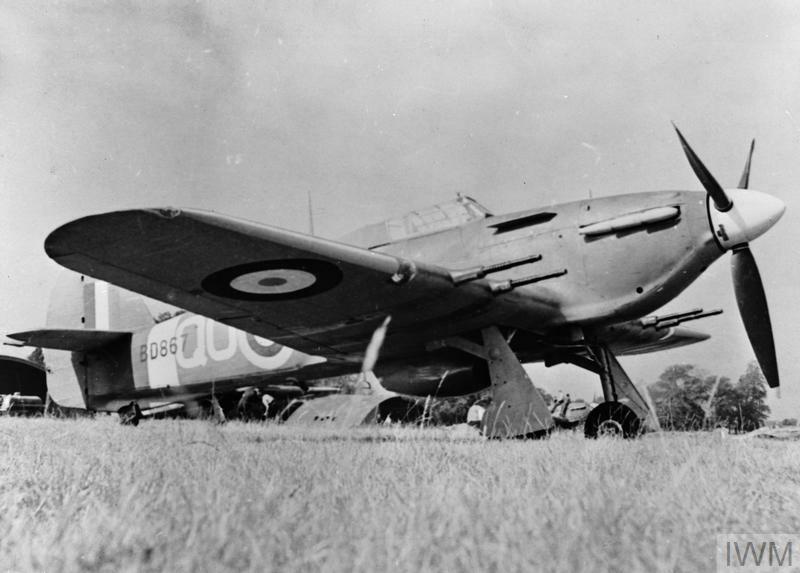 Hurricane Mark IIC, BD867 QO-Y, of No. 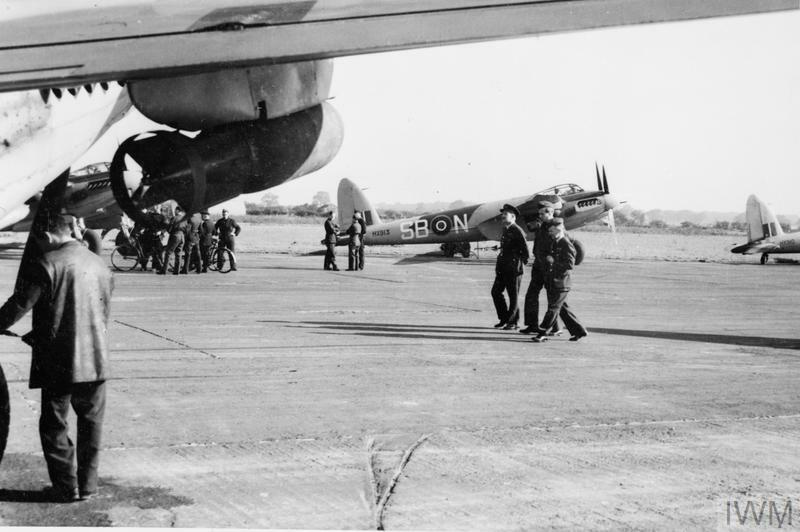 3 Squadron RAF on the ground at Hunsdon, Hertfordshire. 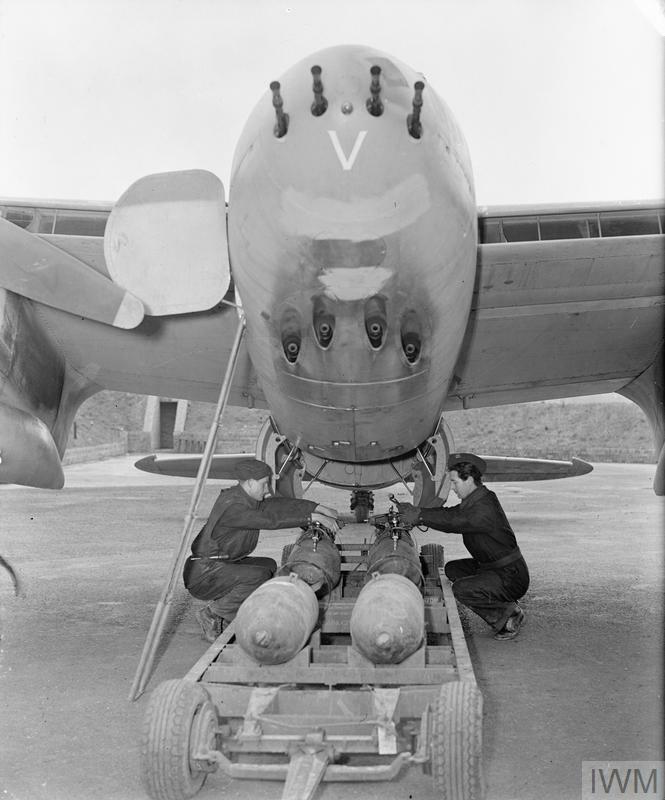 Note the exhaust shields above the exhaust outlets, which were fitted to the squadron’s aircraft during night fighter operations. Mosquito NF Mark XIII, HK382 RO-T, of No. 29 Squadron RAF, at Hunsdon, Hertfordshire. 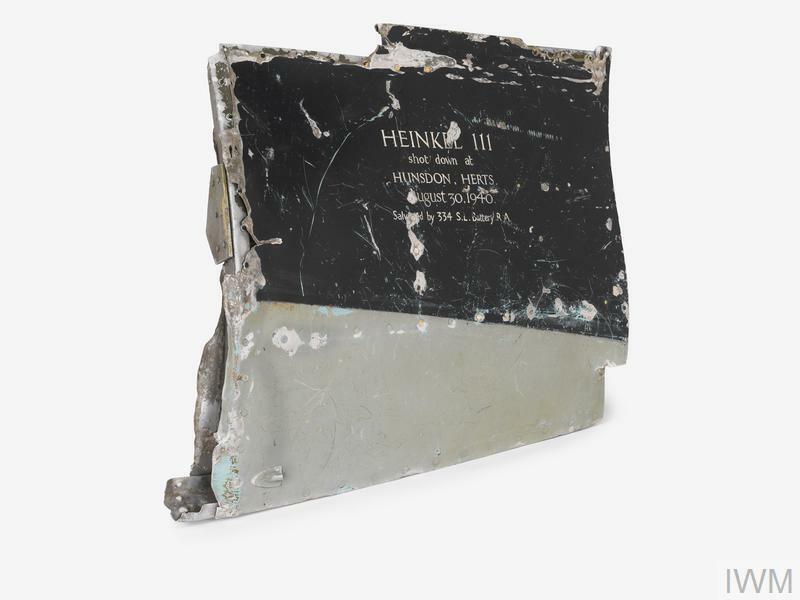 This view shows the thimble nose radome in which AI Mark VIII centimetric radar is fitted. 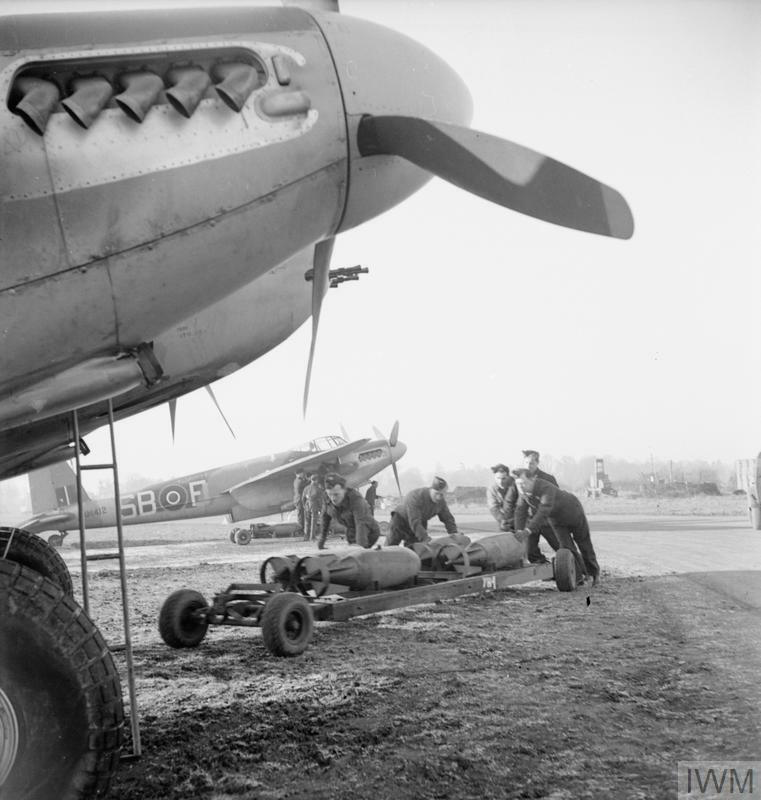 Armourers prepare to load four 500-lb MC bombs into the bomb-bay of De Havilland Mosquito FB Mark VI, MM403 ‘SB-V’, of No. 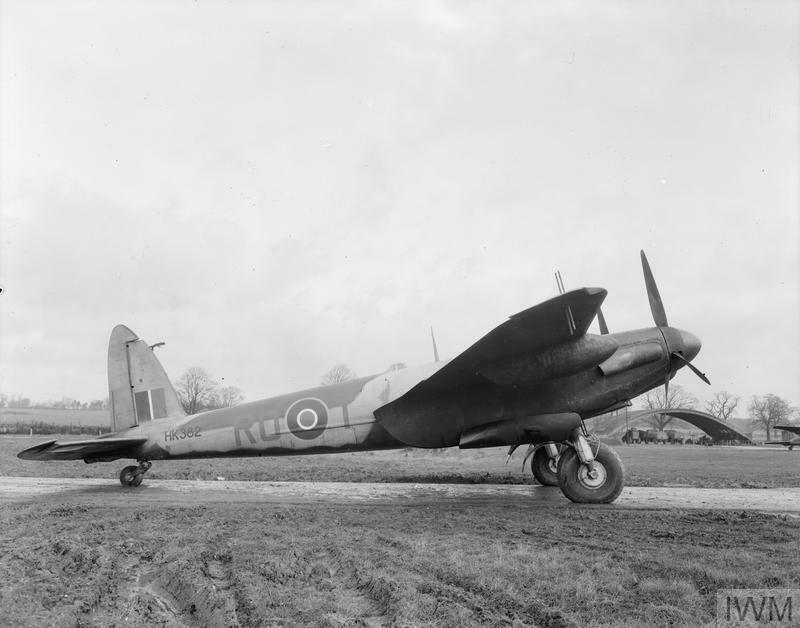 464 Squadron RAAF at Hunsdon, Hertfordshire.